Looking for a waterfront piece of paradise? Well you found it! Absolutely stunning 3 bed 2 bath deep water canal front home located in the heart of Cocoa Beach just across the street from Lori Wilson oceanfront park. 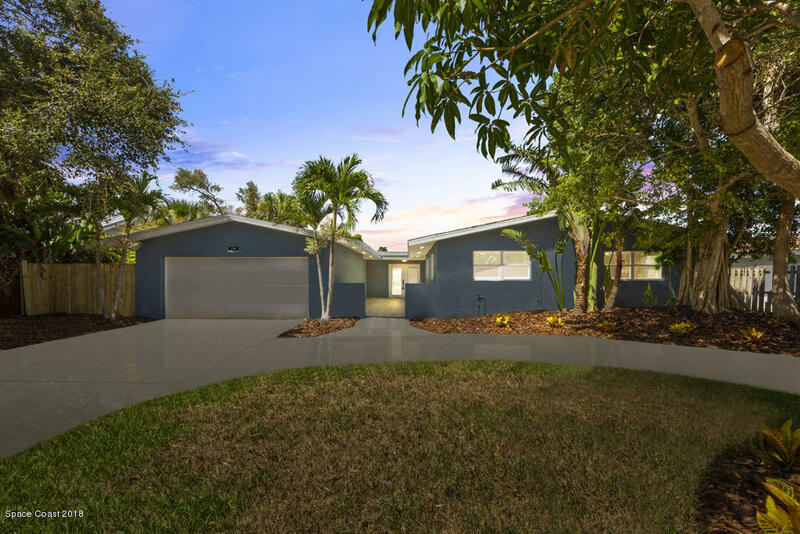 This property has been newly renovated, so all that's left to do is kick back and enjoy the Florida lifestyle you have always dreamed of. Home has new roof, electrical all re-wired w/ upgraded panel, re-piped plumbing, new windows & sliders, and A/C. Gorgeous modern kitchen features white cabinets w/ glass inserts, marble countertops, and S/S appliances. Enjoy the easy maintenance wood-look tile in the common area. From your backyard hop on your kayak or boat for a short cruise to the Thousand Islands or run out of Cape Canaveral for a great day of offshore fishing.